As outdoorsmen and shooting enthusiasts, our team of professional technicians, mold makers, and engineers take pride and satisfaction in the development, engineering, and quality of the firearm and outdoor products that we manufacture. As an ITAR Registered and Compliant custom manufacturer with extensive experience in complex and demanding applications in various industries and highly specialized applications, Blackwell Plastics imparts relevant and complimentary knowledge to the development of firearm parts and firearm accessories. Our broad and diverse experience in solving part design, engineering, polymer development, and manufacturing challenges provides solutions for the firearms industry as well as other outdoor products. Founded in 1939, Blackwell Plastics has supported the U.S. military for decades in the development and manufacturing of products to aid our training and war efforts. In the 1940s, Blackwell Plastics made gun port housings for our C47 military aircraft. Since that time we have been involved in the manufacturing of products for handguns, rifles, mortar launchers, grenades, and metal to plastic replacement parts for missiles launched from our submarines. Our parts can also be found on military helicopters and most military jets flying today. 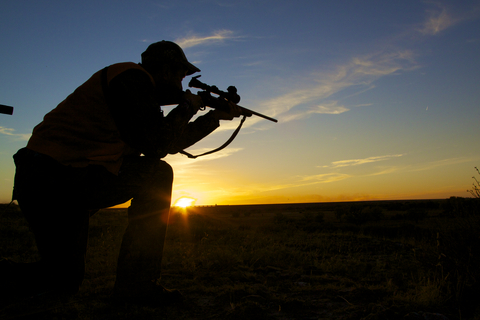 Blackwell Plastics has also been engaged in the hunting and sport shooting industry for numerous years. Our portfolio includes the design and manufacturing of plastic shotgun stocks, accessories for high end sporting clays, grips, and internal parts for handguns and rifles. Our company slogan is to "Do what you love... Love what you do"; we chose to concentrate on firearm and outdoor parts because we enjoy developing and manufacturing products that we are passionate about. We look forward to bringing our passion for the shooting and outdoors industries and expertise in the design, tooling, and manufacturing of precision plastics parts to your project.